Thomas Harris is an American author best known for a series of suspense novels that showcased one of the most despicable fictional doctors ever. His second novel, Red Dragon, published in 1981, introduced his most infamous character, the cannibalistic killer, Dr. Hannibal Lecter. The book’s sequel, The Silence of the Lambs, was published in 1988, and the story was made into a major motion picture starring Anthony Hopkins as the dreadful Dr. Lecter, catapulting the murderous evil character into superstardom. Perhaps even scarier than the fictional Hannibal Lecter was the fact that the writer based his creepy character on an actual person. No one knew that Dr. Hannibal Lecter was based on a real-life doctor. That is, not until 2013, when the 25th anniversary edition of The Silence of the Lambs was released. Harris updated the introduction to the book, finally revealing that Hannibal Lecter was based on an actual doctor in Mexico, a surgeon by the name of Alfredo Ballí Treviño, who was convicted of murdering then chopping up his gay lover. Harris met Dr. Treviño in the early 1960s at Topo Chico Penitentiary in Nuevo León, Mexico, while working on a story for Argosy, an American pulp fiction magazine (published from 1882 through 1978). Harris, who was 23 years old at the time, was interviewing another prisoner for his story, a man named Dykes Askew Simmons, who was committed to the mental ward inside the prison. Simmons had been sentenced to death for a triple murder. While in prison, Simmons bribed a guard, offering him cash in order to escape, but the guard took his money, double-crossed him, and actually shot Simmons during his attempted prison break. Fellow inmate, Dr. Treviño, performed life-saving surgery on Simmons by stopping the bleeding and treating the gunshot wound. When Harris learned of the story, he was intrigued by the convict doctor and got permission to interview Treviño. Harris discovered that Treviño was a surgeon who had been convicted of murder and sentenced to death. Details of the murder motive are sketchy; there are several different accounts of why Dr. Treviño killed his boyfriend, Jesús Castillo Rangel. Rangel and Treviño knew each other since high school and Rangel worked for the doctor. One account reports that the 2 men tangled after Rangel told Treviño that he was leaving him. Another theory was that Rangel refused to pay back money loaned to him by Treviño, which ignited the dispute during which Rangel slashed Treviño with a screwdriver. What’s certain is that Rangel died at the hands of Treviño, and the murder was categorized as a crime of passion. According to the police report filed on the case, Treviño used some kind of anesthetic to sedate Rangel. Then Treviño injected an additional drug into Rangel’s unconscious body and dragged the body into a bathtub, where he slit Rangel’s throat with a scalpel and drained the blood from his body. Treviño then methodically sliced up his victim’s body, chopping it into tiny pieces and stuffing the chopped-up flesh and bones into a box. Treviño drove the box to a relative’s farm and a farmhand helped him bury it, which Treviño said contained medical waste. But the next day, another worker saw the suspicious grave and called the authorities. Two Mexican police officers pretended to be patients and arrested the doctor in his office. Treviño was accused of offering a bribe to the police officers, a payoff that was to include a pharmacy that belonged to his father, as well as promising each officer a new car. Treviño was arrested, tried, and sentenced to death for the murder. However, the Mexican guard’s prediction did not come true. After serving 20 years in prison, the doctor’s sentence was commuted, and he was released in 2000. Amazingly, once he was a free man, Treviño continued his medical practice, providing medical care to the poor until he died in 2009. A little bit of good emerged from inside an evil man. What remains is that the world is still intrigued by a charming cannibalistic killer inspired by a real-life doctor. Bacchi U. Real Hannibal Lecter was murderous gay Mexican Doctor Alfredo Ballí Treviño. International Business Times website. July 31, 2013. http://www.ibtimes.co.uk/hannibal-lecter-gay-mexican-doctor-alfredo-ball-495908. Kurp J. Dr. Murder: Thomas Harris revealed the real-life inspiration for Hannibal Lecter. UPROXX website. July 27, 2013. http://uproxx.com/webculture/2013/07/thomas-harris-revealed-the-real-life-inspiration-for-hannibal-lecter/. Moore N. The terrifying Hannibal Lecter was based on a real criminal. KnowledgeNuts website. April 20, 2014. http://knowledgenuts.com/2014/04/20/the-terrifying-hannibal-lecter-was-based-on-a-real-criminal/. The REAL Hannibal Lecter: author Thomas Harris reveals for first time how killer doctor in Mexican prison inspired him to create most famous cannibal in history. Daily Mail website. Updated July 27, 2013. http://www.dailymail.co.uk/news/article-2379949/Killer-doctor-inspired-cinematic-history-Author-reveals-chilling-story-Hannibal-Lecter–actually-SAVED-someones-life.html. Valdez MG. Dr. Alfredo Balli Trevino knew he was the real ‘Hannibal’ and other unknown details of his life. Latin Times website. August 5, 2013. http://www.latintimes.com/dr-alfredo-balli-trevino-knew-he-was-real-hannibal-and-other-unknown-details-his-life-130010. 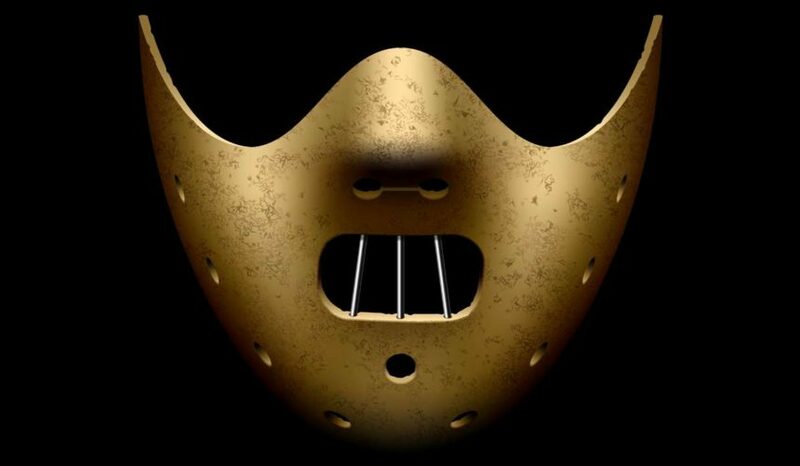 Valdez MG. Thomas Harris, ‘Silence of the Lambs’ author, reveals Hannibal Lecter was inspired by real life Mexican doctor. Latin Times website. July 29, 2013. http://www.latintimes.com/thomas-harris-silence-lambs-author-reveals-hannibal-lecter-was-inspired-real-life-mexican-doctor. Valdez MG. The true story of Hannibal Lecter: how the real life Hannibal murdered his last victim and tried to bribe arresting officer. Latin Times website. 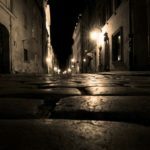 August 5, 2013. http://www.latintimes.com/true-story-hannibal-lecter-how-real-life-hannibal-murdered-his-last-victim-and-tried-bribe-arresting. Webb S. Revealed: the Mexican doctor who chopped up his gay lover and was the inspiration for fictional cannibal Hannibal Lecter. Daily Mail website. July 31, 2013. http://www.dailymail.co.uk/news/article-2382118/The-real-life-Hannibal-Lecter-revealed-Thomas-Harris-inspired-Mexican-doctor.html.